Morning Food Tour in Reykjavik - Brand NEW! All of these are legit questions and I have great news for you! 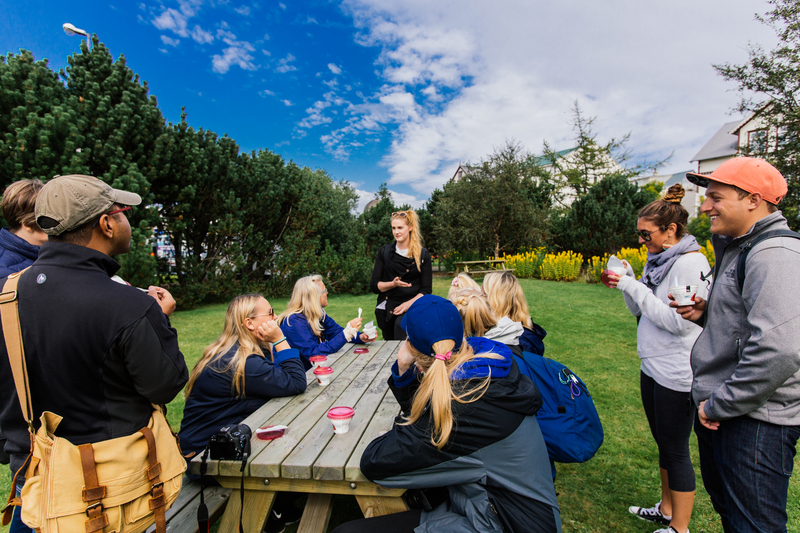 We have been operating our delicious Reykjavik Food Walk tour for almost two years now with great success as we always aim to show our guests from around the world the very best of our beautiful hometown and our local foodie scene. However, until now all of our tours have been starting at around noon. But starting from next week we will be beginning to offer our awesome tours also in the MORNINGS! Yup, it is a brand new MORNING Reykjavik Food Walk tour! We have got tons and tons of requests for exactly this for the past year and after having hosted hundreds of Food tours in Reykjavik we have learned that a big percentage of our guests actually arrive in Iceland early in the morning and have nothing to do, while they simply wait to check in at their accommodation. 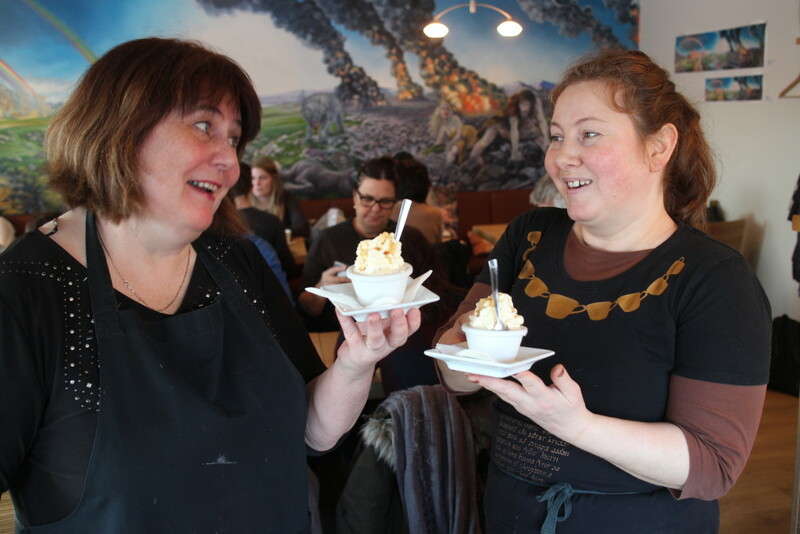 Why join our Reykjavik Food Walk morning tour? 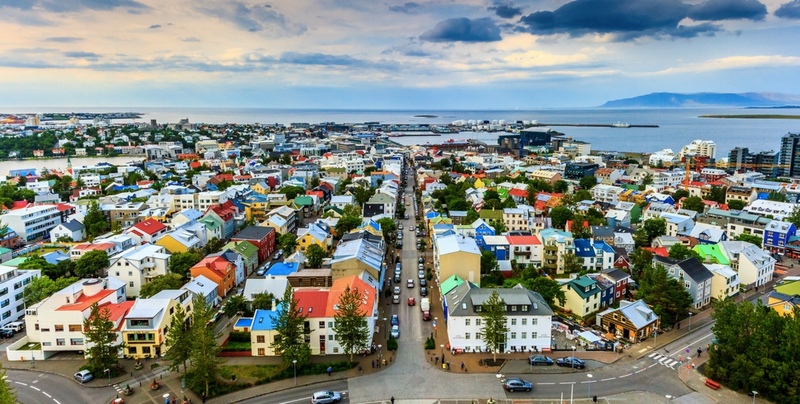 Instead of wandering around the streets of Reykjavik like a zombie in the morning – Or snoring in the lobby of your hotel – Why not make the absolute most out of your time in Iceland and turn these few “dead hours” into the most memorable part of your trip? Before noon you could see the absolute best face of Reykjavik, have a fun new local friend tell you everything about the city and give you great local recommendations, get your bearings in down town Reykjavik and last but definitely not least – Visit amazing Icelandic restaurant and enjoy the best of our local cuisine! What is included in your early morning Reykjavik Food tour? You will meet up with an amazing local foodie guide and get to know a small group of other fun travellers. From your meeting location you will take off for a culinary journey around Reykjavik. It is one thing to just wander around a city but with a knowledgable Icelandic guide you will experience Reykjavik like a local, hear fun stories and get local recommendations for everything you need for your stay. Most importantly, you will eat like a local! You will most definitely walk all around down town Reykjavik, see most of our most famous landmarks, enjoy our beautiful street art and get to experience first hand all the best of our wonderful Icelandic food. In the morning food walk we stop at 5 unique restaurants, shops and food trucks as you will enjoy over 10 brilliant Icelandic tasting that you will definitely not find in your average tour book. 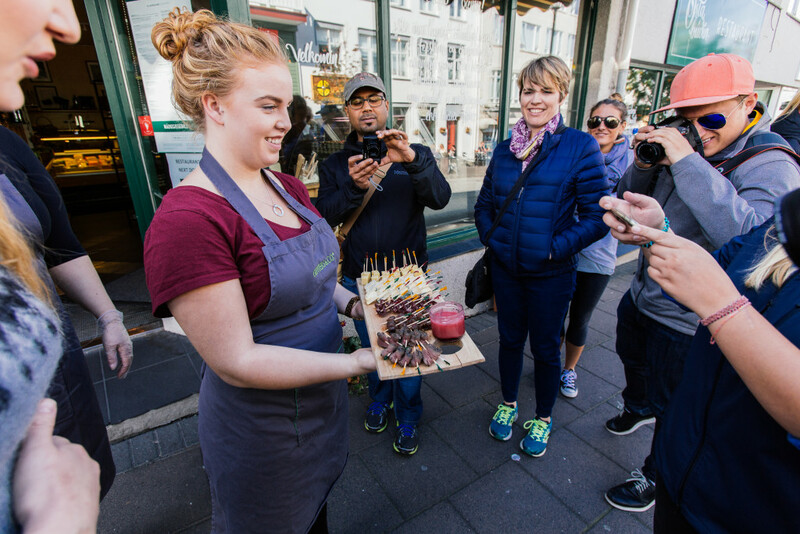 Our morning food walk tour is very similar to our mid-day Reykjavik Food Walks and the only difference is that in our morning tour we focus a little more on what Icelanders eat at this time of the day, for breakfast / lunch etc. ! What do we eat on our Morning Reykjavik Food Tour? In our Morning Reykjavik Food tour you will have an Icelandic breakfast … like my grandmother would prepare it! You will get to taste the best of our Icelandic dairy in any form (it is such a huge part of our cuisine) so that will be some kind of butter, cheese, cream and ice cream! You will taste seasonal Icelandic meats and a tour of the Icelandic cuisine simply cannot be completed without a stop at the famous Icelandic hot dog stand. It is simply a must! And lastly, we will end it up with some delicious seafood. Normally we try to do that in the form of a soup as that is very traditional for us … And so delicious! I am SUPER excited for our delicious morning Reykjavik Food Walk to begin as I am confident that it will be a huge hit! The lineup of restaurants is great and I think it is the perfect way to make the most out of your morning in Reykjavik. The idea is to offer our morning food tour in the summer, from April – September, or as long as we can before it will begin to be dark in the mornings. 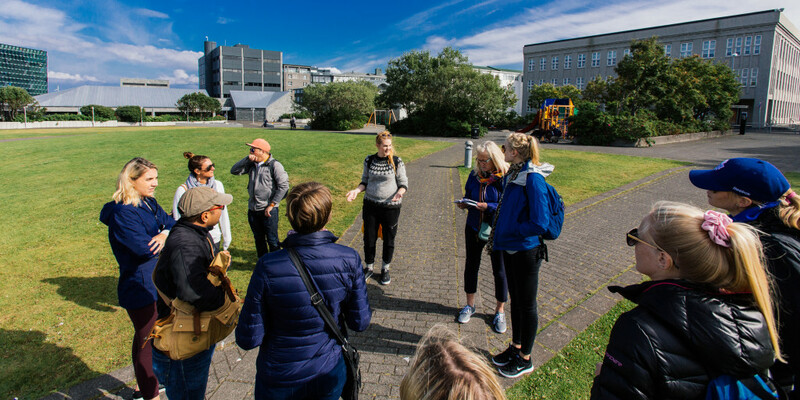 If you are interested to join the fun, you can find ALL the information for our tours and secure your spot right here on our Reykjavik Food Walk homepage. And if there is anything I might help you with, please shoot us a line in the comments below and I will personally get back to you asap!